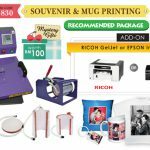 Do you know that heat printing is the most fastest and simple way to customised a gift product such as fabrics, sublimation blanks etc. 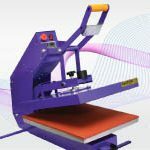 Heat press machine is the most cost-effective way in order to print samples and end products. Heat transfer printing are also requiring a low capital investment compare to other business start-up. Most heat transfer machines also are user-friendly and easy to conduct. 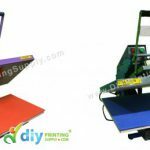 With DIYPrintingSupply.com, we will supply user manual for every purchase of machine in our store. In addition, we also provide video tutorial to show step by step on how to use this machine. As mention earlier, heat printing process is very easy and the heat transfer machine is user friendly. Heat transfer printing business does not require a big space to set-up business. The space you need for production is very minimum. 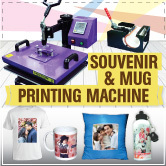 Heat transfer printing business is also called as low cost-high profit business. is as low as RM1200. Heat transfer printing is very easy. 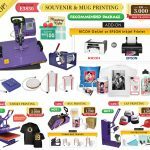 You can use one design and print for several gift product. This is great for all kinds of personalised product. The processing time is fast. There is also no minimum number for production. This is great for business starter and small business owner.